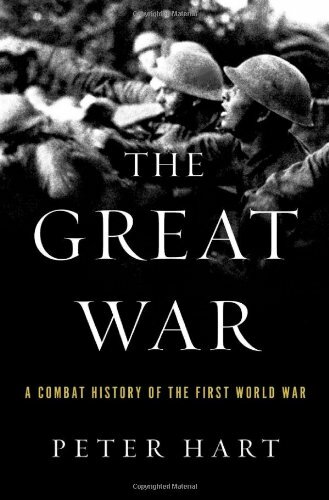 In The Great War, Peter Hart provides a masterful combat history of this global conflict. Focusing on the decisive engagements, Hart explores the immense challenges faced by the commanders on all sides. He surveys the belligerent nations, analyzing their strengths, weaknesses, and strategic imperatives. Russia, for example, was obsessed with securing an exit from the Black Sea, while France–having lost to Prussia in 1871, before Germany united–constructed a network of defensive alliances, even as it held a grudge over the loss of Alsace-Lorraine. Hart offers deft portraits of the commanders, the prewar plans, and the unexpected obstacles and setbacks that upended the initial operations. He concentrates on the Western and Eastern fronts, but also pays attention to important peripheral events, such as the war at sea, the fighting in Mesopotamia and Palestine, and the Italian front. In the Great War, for the first time, warfare ceased to consist of armies hunting for each other across the landscape and meeting in brief, decisive battles; now continuous lines stretched from the Channel to the Alps, from the Alps to the Adriatic. Hart also examines the changing weapons and tactics, from pioneering British tanks to Germany’s devastating infiltration techniques. In the final analysis, Hart argues that France provided the bulwark of the forces and determination that defeated the Central Powers, but Britain tipped the balance, with the crucial help of American intervention.